Hi! I’m a wife, mama, unabashed anatomy-nerd, yoga student and instructor. My movement studies started with a BS in Kinesiology from the College of William and Mary. Yoga entered my life many years ago during a time of restoration. As my health improved, so did my passion for sharing the healing gifts of the practice. 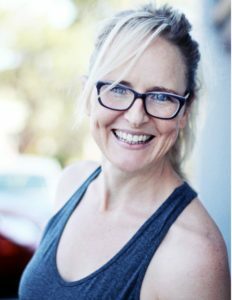 I completed my teacher training under Tiffany Cruikshank, founder of Yoga Medicine (www.yogamedicine.com) and thoroughly enjoy learning about all things yoga and movement. It is a complete joy for me to help others discover ways to explore, play and heal through yoga and movement therapy. My classes are a creative blend of flowing sequences with breath, therapeutic movements for joint mobility and stability as well as restorative poses to allow the body and nervous system to rest and restore. I look forward to welcoming you into our movement community!